In the recent decision, West Fraser Mills Ltd. v. British Columbia (Workers’ Compensation Appeal Tribunal), 2018 SCC 22, the Supreme Court of Canada upheld a workers’ compensation claim and an associated fine against a forestry company that owned the property where an independent contractor’s employee was fatally injured. This case concerned a tree faller, employed by an independent contractor, who was fatally struck by a rotting tree within the area of a forest license held by West Fraser Mills Ltd. in British Columbia. West Fraser Mills employed a supervisor to oversee contractors at the start of projects, conduct pre-work planning, and assess contractors’ work. The supervisor met with the contractor and the faller before the work began. They completed a walk-through of one work area, but did not walk through or identify hazards in the second area where the fatality occurred. The Workers’ Compensation Board (“WorkSafeBC”) investigated the workplace accident and found that West Fraser Mills failed to meet its obligations, as the “owner of a forestry operation”, to ensure that all activities of the forestry operation were planned and conducted safely, as required by the Occupational Health and Safety Regulation (the “Regulation”). Specifically, West Fraser Mills failed to take all reasonable steps to identify hazardous or potentially hazardous work conditions at the second work area, and ensure that the contractor met his duties as the employer. West Fraser Mills was fined $75,000 under the Workers Compensation Act (the “Act”). West Fraser Mills appealed to the Workers’ Compensation Appeal Tribunal (the “Tribunal”). The Tribunal dismissed the appeal, but reduced the fine by 30% because of West Fraser Mills’ safety record and lack of intent to disregard the safety standards. 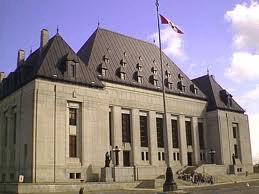 The British Columbia Supreme Court and the Court of Appeal both upheld the Tribunal’s order. A majority of the SCC disagreed, upholding the Tribunal’s finding that West Fraser Mills was an “employer” under the Act. Thus, WorkSafeBC was within its jurisdiction to impose a fine against West Fraser Mills for the consequences arising from the same conduct that constituted a breach of its obligations as “owner of the forestry operation.” While West Fraser Mills was not the deceased’s employer, it was an employer in relation to the worksite, had a supervisor on site (albeit temporarily), and was registered with WorkSafeBC as an employer. The SCC recognized that this decision extends the risk of incurring a fine to owners who employ people to fulfill their duties regarding the worksite where an accident occurs. Still, the majority endorsed this outcome, holding that it recognizes the complexity of overlapping and interacting roles on a worksite and will better ensure workplace health and safety. In the result, the majority dismissed the appeal. This decision is an important reminder about an owner’s worksite safety obligations. Owners must ensure the health and safety of their own employees, as well as the employees of other contractors on site. Under BC’s workers’ compensation scheme, “owners” and “employers” can share responsibility for workplace safety with overlapping and interacting duties. To avoid incurring a fine, owners must take all reasonable precautions to prevent workplace accidents, even if the workers on their property are employed and supervised by independent contractors. Update regarding the sale of cannabis in Ontario Q&A: What happens when an employee does not use their vacation entitlement?